Even though the LG G Watch and Samsung Gear Live are available for purchase as the first ever Android Wear smartwatches, the majority of you have made it clear that the Moto 360 is all you care about. In fact, 70% of the DL community said in a poll that they are skipping the offerings from LG and Samsung to wait for Motorola’s circular wearable. That is a pretty astounding number, if you look at the complete results. Take a glance at that poll and you will see that more people (19%) said they aren’t interested at all in an Android Wear watch than the combined crowd that said they were buying either the G Watch (6%) or Gear Live (6%). 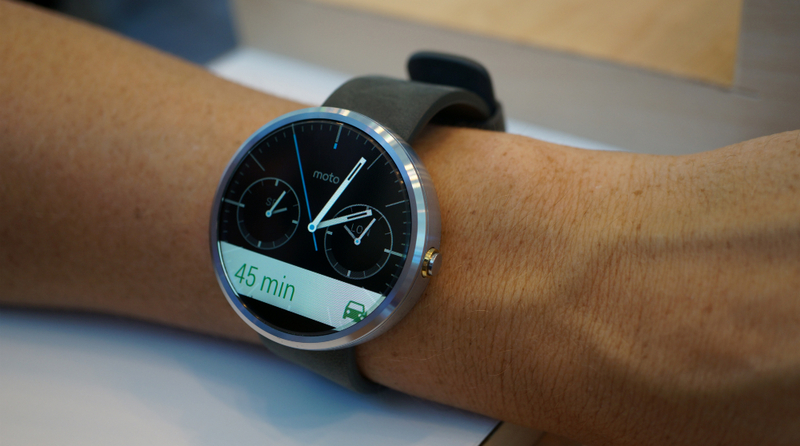 It’s either Moto 360 or bust. I can’t say I blame people for feeling this way. I shared plenty of my own thoughts on the Moto 360 earlier in the week, stating that it is the only smartwatch I am interested in because it looks like a beautifully designed watch first, yet has Android in the background as an added bonus. As we have seen the G Watch ($229) and Gear Live ($199) go up for sale, we are potentially starting to get a feel for the price of the Moto 360. Well, we at least have a starting point, followed by a second level. We talked about this on the DL Show last night, but I am curious to know how much someone would be willing to pay for a premium Android Wear watch, with a circular stainless steel face and either a matching or leather band? Motorola isn’t sharing specs or pricing, and as already denied that the $249 price point we saw through a Moto 360 contest is an accurate representation of the retail price. Does that mean we should go above $250, like $300? Or will it be even more pricey at $350 or $400? What would your max be? *Note – I didn’t include a price under $200, because a price lower than $200 doesn’t seem realistic. The G Watch is made of pure, uninspired plastic and runs $229.